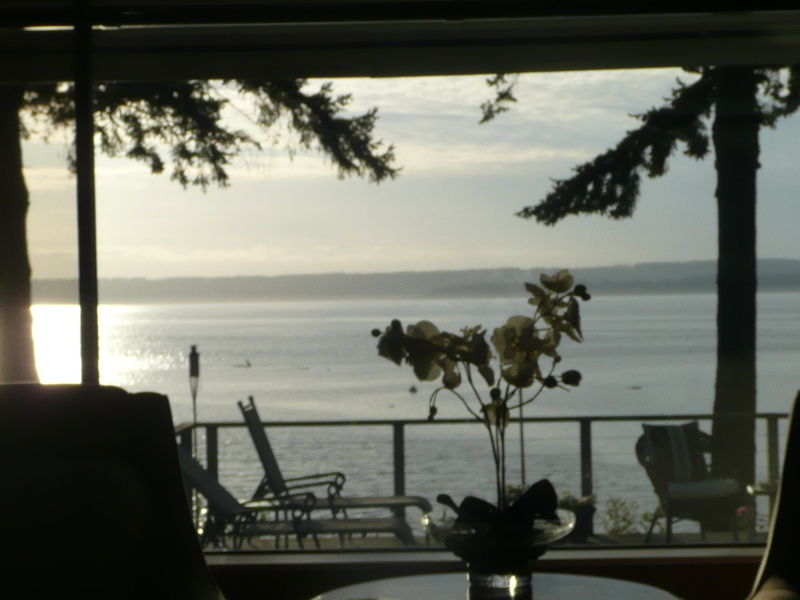 Still savoring the moments in Seattle that are the memories of a great vacation – fresh crab, Whidbey Island, staying in with friends on a rainy day, and getting coffee from a drive through kiosk. 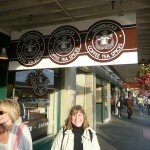 The Frugal Diva loves her coffee and there is no more coffeecentric place then Seattle. Drive through miles of fields and forests and there will still be a small box of a place that sells freshly made espresso. Order on one side and pick up on the other side is a perfect concept for places with less then ideal weather. 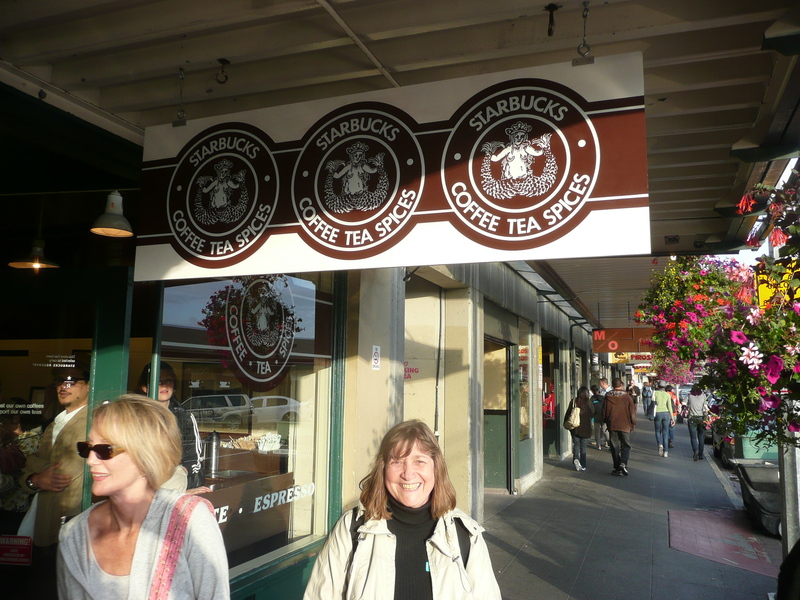 Seattle is home to the very first Starbucks and whether you love them or hate them, they raised the standard for caffeine delivery. 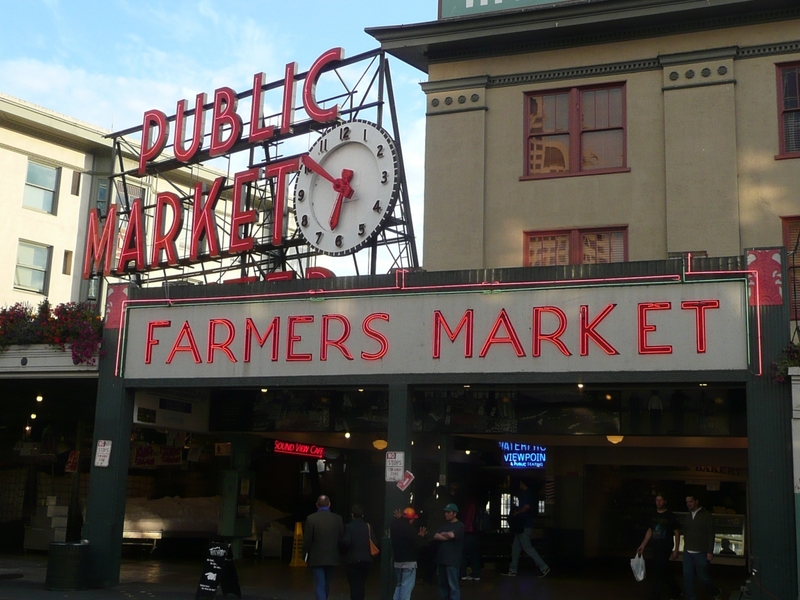 After a coffee, cross the street to the Pike’s Place market where fresh seafood abounds. 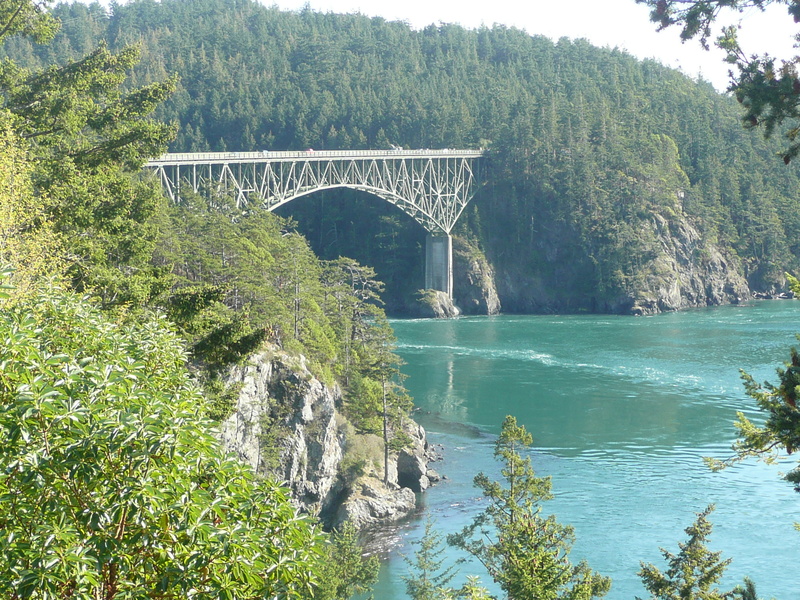 Head north for the rugged terrain of Whidbey Island. 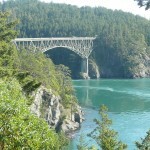 Cross the Deception Pass Bridge into spectacular scenery and then stop to look down from the bridge walkways. 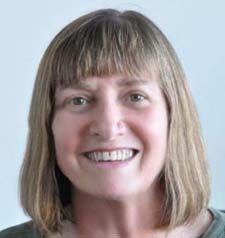 Go out on a boat for whale watching or just stay on the shore till a pod swims by. And what would this be without a Frugal Diva find for lunch. The cutest little grocery store ever is the Rexville Grocery offering gourmet sandwiches under $8. Using local ingredients, they made a freshly baked turkey sandwich on rye bread with cranberry relish. Without a personal recommendation I would have driven by this unassuming store front that houses an eclectic selection of spices, local desserts, and cheeses from all over the state. The city of Seattle has invested in a dazzling Rem Koolhaas designed Central Library. The future looks bright when you see so many people reading, using the library resources, and of course since this is Seattle getting a cup of coffee or hot chocolate. Go to the top floor and work your way down. Maybe stopping on the floor entirely devoted to magazines and newspapers or checking your email on one of the 400 computers for public use. Every city has a splurge and here it is a tour of the Boeing factory , the largest building in the world. For $20 general admission ($10 for the kids), you will be taken to an overlook and see jets being assembled. As the plane moves from station to station, parts are added, equipment is checked and you get to see some of the over 29,000 employees doing their jobs. 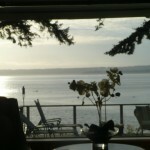 There are no hotel recommendations since we stayed with our friends who live on Puget Sound. They pulled crabs out of the water for our dinner, baked us pies from the blackberries grown in their garden, and provided endless hospitality. Good friendships are truly priceless.